Pizza for breakfast? 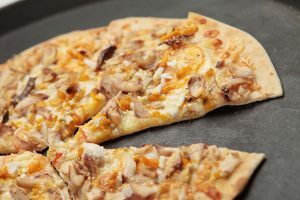 Now possible and made even more exciting with this all-filipino-pizza — topped with tinapa flakes and red egg. Those who love the Tagalog Bistek will surely love this pizza even more. 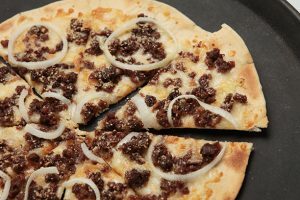 Ground beef marinated overnight in our special bistek mix, cooked and topped on our very own hand-rolled thin pizza dough. MJ’s Signature Pizza and a best seller. 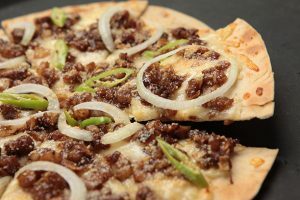 A Filipino favorite transformed into the loved pizza, with the original sisig recipe that everyone enjoys.